Canon’s PowerShot SX600 HS is an affordable pocket super-zoom with an 18x lens range and a 16 Megapixel sensor. It can shoot 1080p30 HD video, has built-in Wifi with NFC and can tag images with GPS data logged from your smartphone. Canon’s 2014 line-up contains no shortage of super-zooms with three compact models and three larger ones. The Canon PowerShot SX600 HS is a compact super-zoom with an 18x stabilised optical zoom and a 16 Megapixel sensor paired with Canon’s now ageing Digic 4 processor. It can shoot 1080p30 HD video, has built-in Wifi with NFC and can tag images with GPS data from your phone. Canon’s 2014 PowerShot line-up features no shortage of super-zoom options, including three compact models. Alongside the SX600 HS are the top-end SX700 HS, boasting a 30x zoom and the latest Digic 6 to complement its 16 Megapixel CMOS sensor, and last year’s SX280 HS, with a 20x zoom and a 12 Megapixel CMOS sensor, again with the Digic 6. In addition to these are the slightly larger SX510 HS, with a 30x zoom, the budget SX170 HS with a 16x zoom and CCD sensor, and finally, the SX50 HS, with a 50x zoom and 12 Megapixel CMOS. So if you’re in the market for a Canon super-zoom you’re spoilt for choice, but among the compacts the SX600 HS is the smallest and lightest option. Price-wise it sits mid-way between the high-end SX700 HS and the budget SX170 IS, so the most obvious alternative within Canon’s own range is the SX280 HS. Outside the Canon camp, though, the SX600 HS’s biggest competitor is arguably the Panasonic Lumix TZ55 / ZS35 which has a 16 Megapixel sensor and a 20x optical zoom. The PowerShot SX series doesn’t really share a common body design, and while the compact super-zooms share some design similarities the body shapes and sizes vary considerably. The SX600 HS is smaller, squarer and has fewer controls than the SX700 HS. It’s closer in size and appearance to the SX280 HS, but again, its squarer, lacking the latter’s angled edges as well as its mode dial. 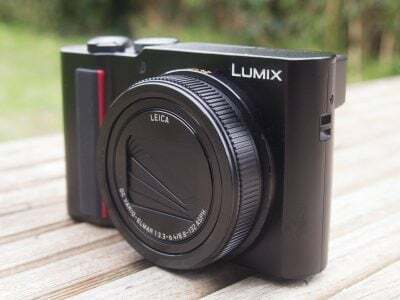 The Lumix TZ55 / ZS35 is a little bigger all round, most notably it’s 32.4mm thick and weighs 250g compared with 26mm and 188g for the SX600 HS, so not quite as compact, lightweight and pocketable. The SX600 HS looks pretty classy, especially the white review model I tested; it’s also available in black and red. The glossy body is surprisingly easy to grip – aided by a moulded finger grip on the front panel and a thumb recess on the rear incorporated in the mode switch. On the top panel there’s a nice big shutter release and a smaller recessed on/off button just to the left of it. As on most Canon compacts the zoom control is on a collar around the shutter button with dimple at the front which you can push with your index finger – clockwise to zoom in, anti-clockwise to zoom out. Moving round to the back panel; to the right of the 3 inch LCD screen there’s a three-way mode switch – I’ll explain it’s functions in the shooting modes section below – and below that the familiar four-way controller with centrally mounted Func Set button. This button accesses the PowerShot SX600’s quick menu, no doubt one day Canon will get around to giving it a friendlier, more descriptive name. The four cardinal positions on the controller activate exposure compensation, flash settings (once you’ve raised it), display overlays and macro focussing. In playback mode the top position activates the Wifi connection, something I’ll talk about in more detail a little later. The four-way controller is flanked at the top by playback and record buttons and at the bottom by a dedicated button for connecting to your phone via Wifi and finally the Menu button. On the right side of the body (as you’re holding it) there’s a plastic flap covering the ports – at the top a combined USB / A/V out and below it a mini HDMI connector. 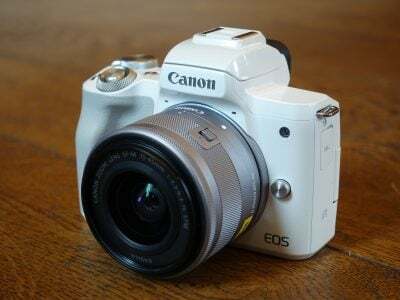 Possibly because of the PowerShot SX600 HS’s wireless capabilities, Canon doesn’t include any cables in the box, not even a USB cable, so if you want to physically connect the camera to a computer or TV you’ll need to buy your own. On the bottom right of the SX600 HS a hinged door provides access to the combined battery and card compartment. The SX600 HS takes SD cards which slot in just behind the NB-6LH battery. The battery provides enough power to take 290 shots – not bad from a lightweight compact, but put the SX600 HS into Eco mode and it’ll stretch to an impressive 430 shots. Eco mode conserves battery power by dimming the screen after a two-second delay, then turning it off after a further 10 second delay. Eventually, after three minutes of inactivity the camera turns itself off completely. It’s a practical way to make the battery go further, but if you like to keep the camera powered up and ready to shoot at a moment’s notice a second battery would be a wise investment. The battery is recharged in a supplied AC charger, not via USB like many compacts these days. One thing common to the SX compact zooms is a pop-up flash; on the SX600 HS a small switch on the left side of the body raises it and you just push it back down into the body when you’re done with it. The flash has a maximum range of 3.5 metres at the wide angle lens setting, probably determined at the 1600 ISO sensitivity setting, making it on the high side of average and the same as the Flash on the PowerShot SX280 HS, though it doesn’t have a motorised mechanism to raise and lower it as on that model. The PowerShot SX600HS is fitted with an 18x optical zoom with an equivalent range of 25-450mm. By current super-zoom standards that isn’t remarkable, if you’re looking for a longer telephoto from a relatively pocket model, the SX700 HS extends to 750mm and the Lumix TZ60 / ZS40 goes to 720mm, but both those are bigger and more expensive. So the PowerShot SX600 HS provides a different balance, trading some of that range for a more compact body at a more affordable price point. The Panasonic Lumix TZ55 / ZS35 sports a 20x 24-480mm equivalent zoom lens providing a little extra coverage at both ends of the range. Though it may not be the biggest zoom around, the 18x lens on the PowerShot SX600 HS is versatile enough to get you as close as you’re likely to need for most subjects. For sports events and wildlife photography, and for zooming in on distant details you won’t find it lacking. 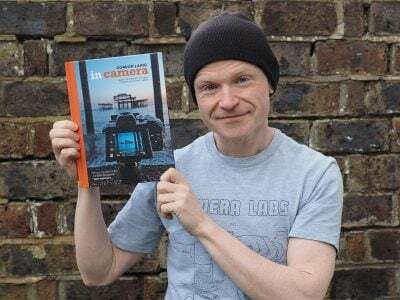 It’s also worth pointing out that, particularly for action photography a longer zoom isn’t always the answer as framing the subject at such large zoom magnifications can be extremely tricky. Another issue at long focal lengths is keeping the camera steady enough to avoid camera shake. The SX600 HS’s maximum aperture ranges from f3.8 at the wide angle setting to f6.9 at the maximum telephoto. As the aperture closes you’ll have to choose a slower shutter speed to maintain the correct exposure and in low light that may prove difficult as it’s harder to hold the camera steady at longer zoom magnifications. Once again, the TZ55 / ZS35 just beats the SX600 HS with a maximum aperture of f3.4-6.4. The SX600 HS is equipped with Canon’s Intelligent IS image stabilisation which shifts the lens elements to compensate for camera movement. Intelligent IS has three positions, selected from the shooting menu, off, shoot only, and continuous. To test it I took a sequence of shots in fading light at progressively slower shutter speeds with the lens zoomed to its maximum 450mm focal length. As you can see from the crops below, the SX600HS can take sharp hand-held shots at speeds down to 1/15th, that’s a very impressive five stops of stabilisation. 100% crop, 4.5-81mm at 81mm, 100 ISO, 1/15th, IS Off. 100% crop, 4.5-81mm at 81mm, 100 ISO, 1/15th, IS Continuous. In place of the mode dial on the higher end SX compacts, the PowerShot SX600 HS has a three-position mode switch. The lower of the three positions sets the mode to what was last chosen in the Func Set menu, most likely this will be either Smart Auto or Program Auto. The first of these takes care of everything allowing point-and shoot operation and using scene detection to determine the best exposure. The now ageing Digic 4 processor doesn’t provide the same range and sophistication of scene detection as the more recent Digic 5 and 6 processors, but nonetheless is pretty canny at determining whether or not there are people in the frame, whether the subject is moving, analysing the lighting conditions (including whether the subject is backlit, you’re shooting a sunset, or taking pictures at night), how close you are to the subject and if the camera is mounted on a tripod. Program Auto mode doesn’t use scene detection, but instead gives you control over more of the camera’s functions. This doesn’t extend to manual exposure control, but it does let you set the ISO sensitivity as well as other settings including white balance and metering mode. It also unlocks a lot of options on the shooting menu that aren’t available in Smart Auto mode including AF mode, frame size and i-Contrast (shadow detail enhancement). You can also select individual scene modes from the mode menu and as well as the usual Portrait, Low light, Snow, and Fireworks options you’ll find the composite Handheld NightScene mode (more about that on the noise results page), High-speed burst and Smart Shutter mode, which uses face detect to automatically take pictures when people smile, or activate the shutter with a wink. Lastly, the shooting mode menu includes the creative filter effects that will be familiar to anyone whose bought a Canon compact in recent years. They include Fish-eye Effect, Miniature Effect, Toy Camera Effect, Monochrome, Super Vivid and Poster Effect. Slide the mode switch up a notch to the central position and you enter the new Creative Shot mode. First introduced on the PowerShot N100, this is an extension of the filter effects which automatically applies a selection of them to a shot to produce six variations. The SX600 HS uses scene detection to determine which effects to apply and it also crops some images to produce new compositions. All six versions are then displayed for a couple of seconds and if you press the Func Set button you can review them individually though, of course, you can play them back at any time just like other shots. An example is shown below. In the default mode the SX600 HS selects from all the available effects, but you can also choose from one of four sets – Retro, Monochrome, Special, and Natural, if you want a particular look. As a new way to make use of the existing effects it’s very handy, providing a new spin on an old feature that opens up new creative avenues without you having to think too hard about it. Finally, in the topmost position the mode switch activates Hybrid Auto mode. This shoots a short video clip before every shot you take and then assembles them into a movie of your day’s shooting. For events like weddings and kids’ birthday parties it’s a winner, effectively allowing you to shoot a movie of the days events without thinking about it, but it will drain the battery more quickly, another reason to carry a spare. The PowerShot SX600 HS can shoot in continuous mode at just shy of 4fps, not stunningly fast, and not up to the 10fps full-frame burst mode of the Lumix TZ55 / ZS35, but far from mediocre performance. For faster burst shooting you can select the High-speed Burst scene mode which drops the resolution to four Megapixels for a 10.5fps burst. The PowerShot SX600 HS can shoot HD video at 1080p30 resolution as well as 720p30 and VGA (640 x480), also at 30fps. Movies are encoded using the H264 codec and saved as QuickTime MOV files in the same folder as still photos. The best quality 1080p30 video is encoded with an average bit rate of 30Mbps, producing good quality video that takes around a Gigabyte of space on the memory card for every 4 minutes of footage. That means you’ll fit about 32 minutes of footage on an 8GB card, though the limit for a single continuous clip is a second shy of 30 minutes in the HD modes. Regrettably, the Digic 4 processor doesn’t support slow motion video modes, but then that’s a feature the Lumix TZ55 / ZS35 also lacks. For slow motion video you’ll need to look to the more expensive PowerShot SX280 HS, or the Lumix TZ60 / ZS40. As I’ve already mentioned, though, the SX600 HS does support use of the effects filters, including Miniature, during video recording. A word of warning though, rather than using the current video mode, the SX600 HS takes its cue from the still image aspect ratio so if you have that set to the default 4:3, even if the video mode is set to one of the HD options, in Miniature effect mode you’ll end up with a VGA (640×480) resolution clip. For an HD (720p30) Miniature clip you need to set the still image aspect ratio to 16:9. And though you can use the power zoom during normal movie recording, it’s disabled in miniature mode as is the audio. This clip, like the others below was shot using the PowerShot SX600 HS’s best quality 1080p30 video mode. The colours look a little subdued on the SX600 HS, but other than that the quality is very good. The stablisation does a good job at the wider view angles, but when zoomed in to the maximum 450mm it’s a struggle to keep things steady. For this tripod mounted pan the image stabilisation was turned off. The SX600 HS does a good job with the exposure and the CMOS sensor has no trouble with the reflected highlights on the water. The zoom motor is virtually inaudible and the AF does a good job with a tricky subject – the rigging on the boat in the foreground of the zoom. I’ve included this shot to show how well the PowerShot SX600 HS copes with reflected highlights on the water. Its CMOS sensor has no problem coping with the very bright highlights. Canon uses CCD sensors in some models – the budget PowerShot SX170 IS being one – and these don’t cope nearly as well with bright reflections like this, often exhibiting colour streaking and other artifacts. It’s worth bearing in mind if you do a lot of shooting in bright sunshine on or near the water. This interior low light pan is quite noisy, but the exposure, white balance and colour sturation are good. The PowerShot SX600 HS reacts quite dramatically to the change in lighting as I pan past the windows, but adjusts the exposure correctly for the bar just as speedily. To test the continuous AF performance of the PowerShot SX600 HS I zoomed the lens in a little and panned from the close-up coffee cup to the bar and back again several times. The SX600’s small sensor and lens aperture don’t make for particularly shallow depth of field, all the same, the autofocus does a good job of tracking from the coffee cup to the bar and back and the auto exposure is equally responsive. Like its more expensive siblings, the SX600 HS has built-in Wifi which allows you to transfer images wirelessly. Unlike the earlier SX280 HS though, it also allows you to shoot remotely using the CameraWindow app. Regardless of the mode set on the camera, for remote shooting it’s placed in Program Auto mode and during remote shooting all of the camera’s controls (with the exception of the On/Off button) are disabled. To test the wifi features of the PowerShot SX600 HS I used my iPhone 4S. To connect to the camera you press the phone button on the rear, this turns the Wifi on so you can connect to the displayed SSID. Once that’s done launching Canon’s CameraWindow app allows you to transfer images and remotely control the camera. If you own an NFC capable phone none of this is necessary though, as you can connect the two devices simply by tapping them together. 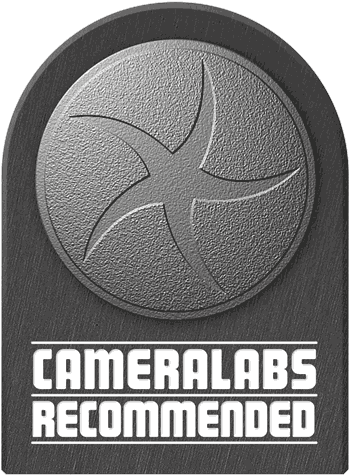 The CameraWindow app also allows you to view all of the images on the camera and transfer them to your phone. And though the PowerShot SX600 HS lacks a built-in GPS receiver you can use your phone’s GPS to record a track log then append the GPS data to images in the camera. It’s a little more involved than using a built-in GPS which you just turn on and forget about, but a feature worth having nonetheless. It’s also possible to wirelessly transfer photos to a computer, the Web, a suitably equipped printer or another camera by pressing the up button on the four-way controller during playback. If you want more detail about how that works head over to Gordon’s PowerShot SX280 HS review. The PowerShot SX600HS starts up fairly swiftly and is ready to take a shot in just under two seconds. The zoom control has two speeds in stills modes and the fastest can cover the distance from 25 to 450mm in well under a couple of seconds while providing enough fine control at the slower speed and when nudging. The zoom motor is pretty quiet, though just about audible at the slower single speed for movies – even the lowest levels of ambient noise render it inaudible though. I liked using the SX600HS, it’s comfortable to hold in the hand, easy to stash in a pocket and doesn’t have any irritating foibles (with the exception of the aspect ratio setting for Miniature Effect movies that I’ve already mentioned). Canon’s compact menu system is accessible, though, as I’ve often mentioned before, putting all the shooting modes on one long menu that includes the auto modes, scene modes, continuous shooting modes and effects leads to occasional bouts of lengthy scrolling and moving the effects to their own menu would be a welcome improvement. The PowerShot SX600 HS has a 16 Megapixel CMOS sensor paired with Canon’s older Digic 4 processor. Large images are 4608×3456 pixels and are saved as JPEGs at one of two compression settings. Large Superfine JPEGs are typically 6-9MB in size. To see how the quality of the Canon PowerShot SX600 HS measures-up in practice, take a look at my Canon PowerShot SX600 HS quality and Canon PowerShot SX600 HS noise results pages, browse my Canon PowerShot SX600 HS images, or skip to the chase and head straight for my verdict.